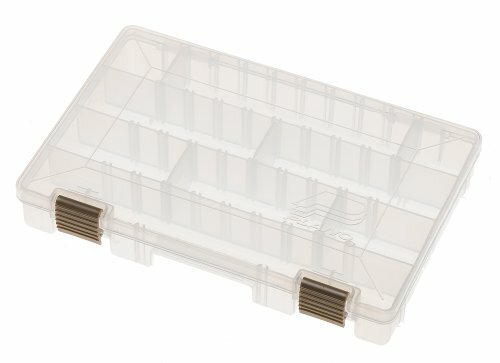 To ensure tackle is completely protected, Plano offers a full line of stowaway utility boxes that feature its advanced ProWatch locking system. These latches offer added security to ensure lures and gear stay put, even if tossed around in transit or in use. The 2-3500 is one of our most popular size stowaways. 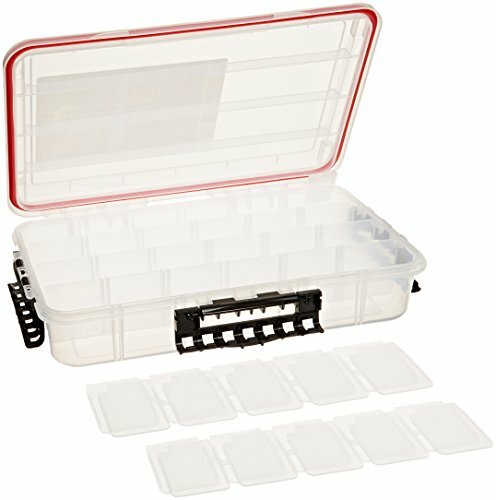 It is great for organizing tackle, tools or other small items. 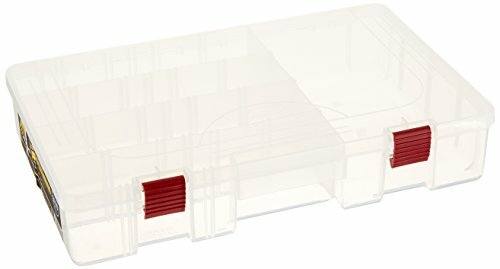 The clear lid allows you to see what's inside. The improved line of Plano waterproof stowaways provide ample protection against the elements at an affordable price. 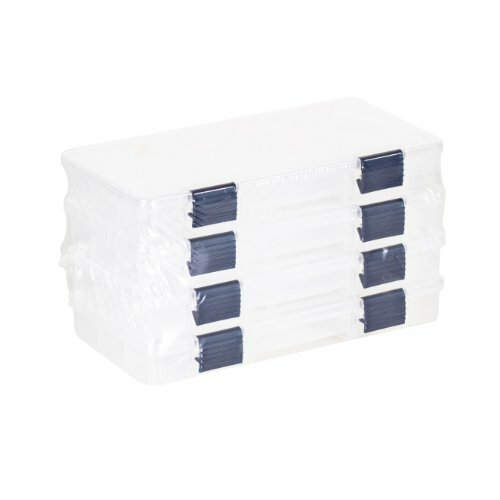 374310 Deep waterproof stowaway. To ensure tackle is completely protected, Plano offers a full line of StowAway utility boxes that feature its advanced ProLatch locking system. 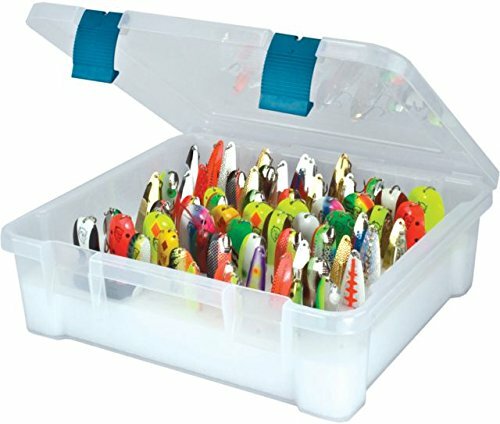 These latches offer added security to ensure lures and gear stay put, even if tossed around in transit or in use. 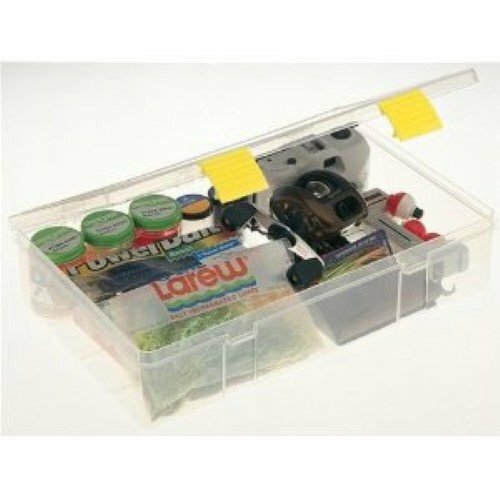 Features: Dri-Loc O-ring seal, Three tight-sealing cam action latches, 4-15 adjustable compartments, Great for large crank baits. Dimensions: 14"L x 9"W x 2.875"H.
We realize that not every piece of tackle will fit into the footprint of our standard StowAway utility boxes. For this reason we've created a full line of specialty StowAway cases to house and protect your gear, no matter the size. 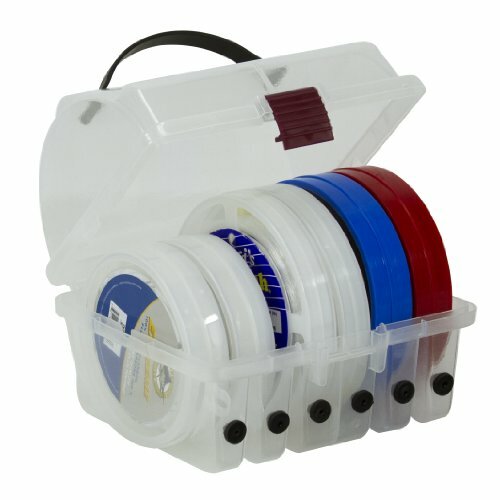 Remove the hassle of storing your line with this convenient 6 leader spool box with rubber line guides to feed the line through the lower half of the box. Plano originated the often-copied ProLatch Locking system. The Prolatch is a separate latching system that ensures a tight, secure closure everytime.